If you have fallen in the past, or have concerns about falling, you are not alone. According to the Centers for Disease Control, more than one out of four adults over age 65 falls each year. While most falls do not result in serious injury, the psychological effects of a fall can last long after the physical effects heal. Fear of falling again can be immobilizing for seniors, but it is important not to let that fear lead to further mobility issues. When you are afraid of falling, you tend to limit your physical activity. For a while that strategy works, but eventually, restricting activity leads to a loss of muscle strength, endurance and mobility — three things that make you vulnerable to falling again. Experts say this comes down to “balance confidence”, an individual’s confidence in their ability to maintain their balance and remain steady. But how important is how we perceive our physical abilities and limitations? 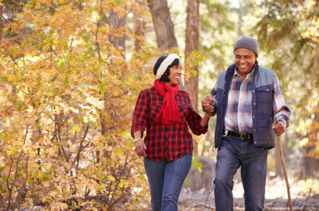 Get Active: Making healthy lifestyle changes not only helps you build confidence, but it allows you to rebuild lost strength, increase flexibility, and improve balance, which can reduce your risk of another fall. Just taking short walks every day can help you feel less nervous and overcome anxiety. Dress for Success: Choose sturdy, non-slip shoes and avoid tight clothing that restricts mobility or extra loose clothing that can easily get caught on doorknobs, chairs or other objects. If you wear reading glasses, be sure to remove them when walking around to prevent feelings of imbalance or dizziness. Remove Obstacles: Many falls can be avoided by removing hazards underfoot. Throw rugs, electrical cords and clutter can all cause falls. So, make sure to address any of these household dangers. Invest in Aides: Better lighting, grab bars, and non-slip mats can help create a safer home environment, which can in turn make you feel more confident about moving freely through your home. In addition, many older adults find that carrying an emergency medical alert device provides them with assurance and peace of mind knowing that help is always within reach. Although not all falls are avoidable, it is important to remember that falling does not have to redefine who you are. Maintaining a normal routine is one of the fastest ways to regain confidence in your abilities. So, keep doing the things you love as long as you are able. Lastly, don’t be afraid to ask for a helping hand if you need it. We all need some extra assistance now and then, and there is no shame in that.